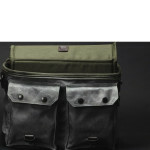 Scout is a rugged messenger-style camera bag, designed to organise and protect your gear on the go. 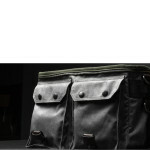 A lightweight bag made from waterproof waxed canvas, it’s an attractive, hard-wearing companion for your kit that won’t let you down. 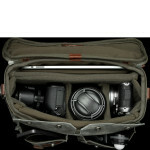 With a removable insert that accommodates your SLR camera and up to three lenses, and a padded compartment for your iPad or laptop, this bag is a high performance solution for contemporary photographers. Organise your camera body and lenses in the padded insert, using the detachable dividers to customise the soft microfiber basket. A cushioned pouch to the rear of the main compartment can securely hold an iPad. Store your accessories in the two gusseted front pockets, rear slip-pouch and zipped interior pocket, to keep your daily basics to hand. 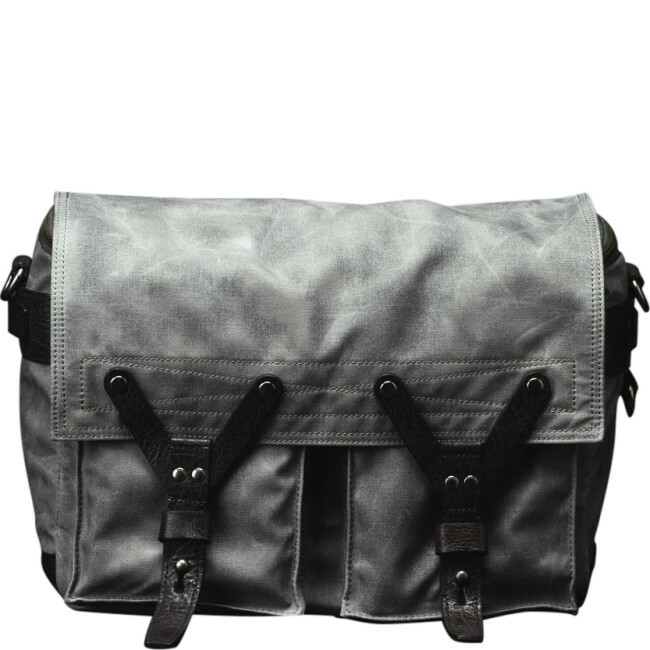 Made from waxed canvas with a vegetable-tanned leather rain flap and touchpoints, this waterproof bag will endure the elements. 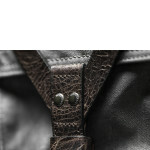 Wear over your body with the adjustable shoulder strap, or remove to carry using the top grab handle. 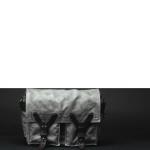 Scout is a functional, military-inspired bag that will rise to the challenge of the modern photographer’s lifestyle. 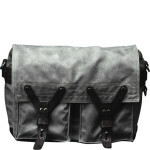 Tough and hard-wearing, yet incredibly handsome, this camera bag is a reliable companion for life on the road. 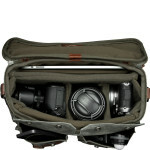 Designed to hold a mirrorless system and up to three lenses, the removable insert with adjustable dividers makes it easy to customise the bag and convert for personal use. Store your iPad or device of up to 10” in the dedicated compartment, with shock-resistant foam padding and microfiber lining throughout to safeguard your devices. 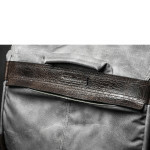 Quick release clasps on the top flap make it easy to access the two front pockets, with a zip sealing the main compartment to shield it from the elements. Securely carry accessories in the interior pocket or discreet rear pouch, and wear over your shoulder with the adjustable, removable strap. Made from waxed canvas with leather touchpoints, a military ordnance keychain and Wotancraft branded rivets, it’s a stylish yet resilient choice for men. 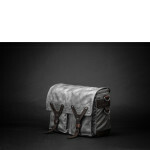 Handcrafted from premium waxed canvas, with vegetable-tanned leather trimmings, this camera bag is both waterproof and scratch-resistant. 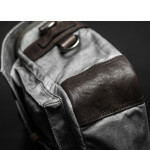 However, to maintain the properties of your bag, reproof the canvas from time to time using a wax treatment, and apply a natural leather cream to the trimmings.